I-Witness will air a biographical documentary on German Moreno for its October 12 episode. It will also show how the Master Showman chose to do charity work for his birthday celebration. For almost 50 years, this man has been a staple character on our televisionscreens. If it weren't for him, we would not have the likes of Lea Salonga,Ruffa Gutierrez, Judy Ann Santos, Billy Crawford and Sharon Cuneta in theshowbiz industry today. He is the ultimate star builder, an industry legend,and the one and only Master Showman: German Moreno. This Monday, October 12, Sandra Aguinaldo presents thelife of German Moreno through the eyes of his long-time friends and Philippineentertainment legends Dolphy, Gloria Romero, and Pilita Corrales. Join them asthey recount the colorful story of Kuya Germs, from his humble beginnings as atheater curtain-puller during the 1960s up tohis heydays as star discoverer in the That's Entertainment. People from all corners of the industryhave come to love Kuya Germs because of his generosity andkindness. Sandra also interviews Judy Ann Santos, Isko Moreno and KuyaGerms' radio co-host Shalala and discovers how Kuya Germs have helped them intheir respective careers. Kuya Germs himself also unravels details of hispersonal life to Sandra as I-Witness attends his birthday celebration. 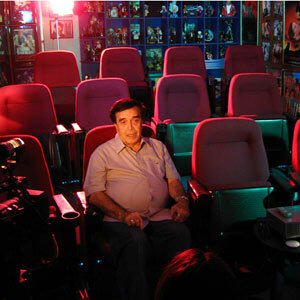 Thisyear, Kuya Germs chooses to celebrate by helping the victims of typhoonOndoy. Get to know who Kuya Germs really is on- and off-camera in this entertainingbiographical documentary about the life of the Philippines' one and only"Master Showman." It is written and produced by award-winning journalist SandraAguinaldo for I-Witness, airing this Monday midnight after the late night newscastSaksi.